JSPG is an interdisciplinary open-access peer-reviewed research publication that seeks high-quality submissions on emerging or continuing science & technology policy debates in the U.S. and around the world. Current students (undergraduate or graduate), current policy fellows and recent graduates within three years of earning a degree (bachelor’s, master’s, or doctoral) are eligible to submit. The Journal encourages submissions from all disciplines and professional backgrounds. 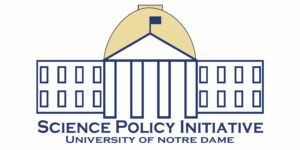 Engaging Scientists and Engineers in Policy (ESEP) Coalition – Join for free!